Ask anyone French about celebrities linked to the Ile de Ré and usually Charles Aznavour is the first name to be mentioned. He immortalised one of the island’s many beaches in the song Trousse Chemise. This year Joan Collins has been added to the list thanks to the filming of her latest movie, The Time of Their Lives. Joan has apparantly escaped her retirement home in the UK to say goodbye to an old flame at his funeral on the island. They spent several days filming down the road from our house in St Martin de Ré. The church being used for the funeral while the old 2cv was driven the wrong way up the quayside to get a more exciting hotel arrival on camera. Watching the film crew at work was a holiday bonus for many. Sometimes it wasn’t always clear how much was going on. It turned out the hotel arrival scene was being filmed from across the water. You can just make the camera out in this shot, to the right of the yacht’s mast. The crowd may be able to spot the backs of their heads in the finished film when it comes out. Alongside Joan Collins, we saw Pauline Collins and Ronald Pickup. Sir Tim Rice is involved, working on the music. Dame Joan has described The Time of Their Lives as Thelma and Louise mixed with a bit of The Best Exotic Marigold Hotel. To book our house in St Martin de Ré, or just find out more about it, click here. Other Ile de Ré set films include Les Maris, les Femmes, les Amants back in the 1980’s. More recently came Alceste à Bicyclette released in the UK as Cycling with Moliere. This entry was posted in Uncategorized and tagged charles aznavour, Cycling, France, holiday home, House rental, ile de re, joan collins, Saint Martin de Ré, St Martin de Re on March 10, 2017 by islandholidayhome. 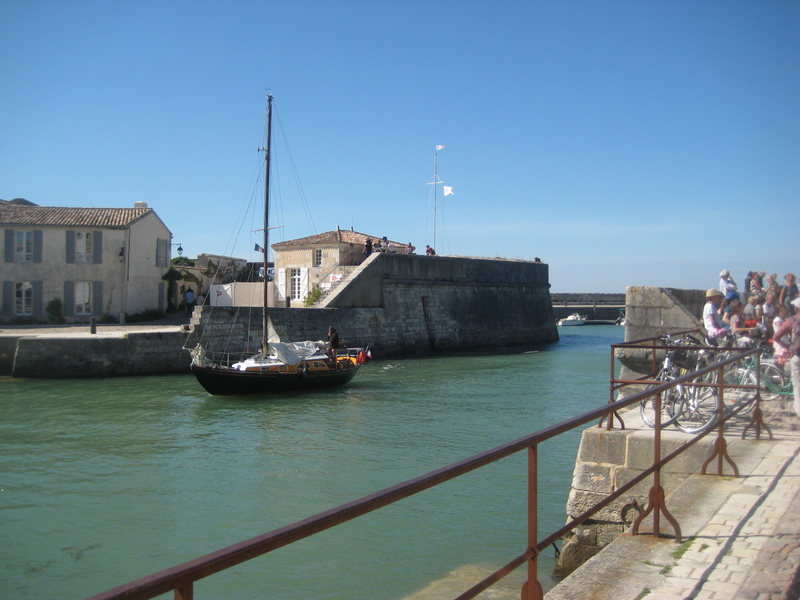 This entry was posted in Uncategorized and tagged charles aznavour, Cycling, France, holiday home, House rental, ile de re, joan collins, Saint Martin de Ré, St Martin de Re on July 29, 2016 by islandholidayhome.